Grace Brethren International Missions (GBIM) has announced that the organization, founded in 1900, is now Encompass World Partners. While the name change is effective immediately, other elements of the new brand will be transitioned in phases over the next year. The new name represents an important part of a global effort to position the organization to better carry out its mission. However, Encompass World Partner’s legal name, “The Grace Trust,” will serve as a constant reminder of the organization’s connection to the Fellowship of Grace Brethren Churches. GBIM’s global leadership team and board of directors prayerfully sought input from pastors, staff, and groups of potential missionaries during the year-long discovery phase that led to the change. The research supported the conviction that a name change would position the organization more effectively to serve future generations while removing unnecessary barriers in ministries on resistant spiritual soils. 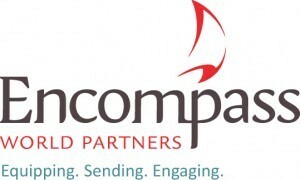 “To fulfill our mission of mobilizing people and resources worldwide, Encompass World Partners is building upon the foundations and experience of the past 111 years with a fresh identity–one that strategically broadens our reach into foreign lands and appeals to the next generation of global workers for Christ,” said Dave Guiles, executive director. The mission of Encompass World Partners is to mobilize, equip, deploy and nurture multinational teams of disciple-makers who live and proclaim the good news of Jesus Christ through engaging in sacrificial service, intentional evangelism and whole-life discipleship, resulting in the creation of healthy spiritual communities (churches). Encompass World Partners currently employs more than 120 workers from North America. An additional 80 workers from other locations form part of the global team. With ministries extending into 34 countries on five continents, the mission continues to pursue its mandate to share the message of Jesus Christ among the least-reached peoples of our world. Encompass World Partners is currently headquartered in Winona Lake, Indiana, with plans to open an office in Atlanta in 2012.